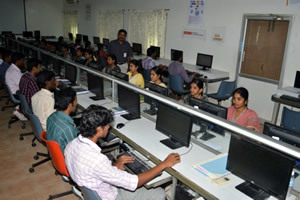 To improve employability skills of engineering students of MCET. To bridge the skill gaps and make students industry ready. 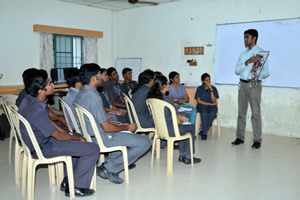 To provide an opportunity to students to develop inter-disciplinary skills. The various Centres of Excellence and Training Centres established in MCET in collaboration with industry leaders are used, in addition to the infrastructure and lab facilities available in all the Departments, for conducting these employability enhancing Courses. The Courses focus on skill development and more than 50% of the time is spent on practical training and problem solving, to provide the requisite understanding towards application of academic topics from engineering disciplines into real world engineering projects. 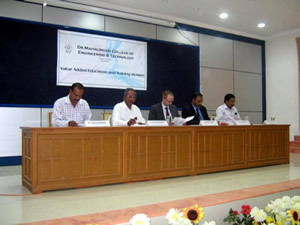 MCET tie-up with Accel IT Resources Limited in the year 2000, to enable students to keep pace with the latest technologies in Computer Hardware and Networking. Certificates are issued by Accel. Till date 2000 students were benefited. 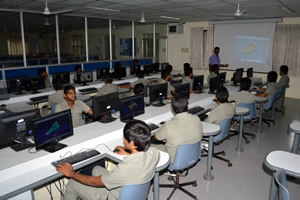 MCET dreams of bringing the best personal computing experience to students, educators, creative professionals and consumers around the country through Apple’s innovative hardware, software and internet offerings has materialized on launching of Apple Distinguished School in the year 2000, which is the first state of art and high tech center in India and SAARC countries. MCET established CAD / CAM center in the year 2000 and tie-up with companies like Accel, Kriatec Services (P) Ltd., etc. It provide training in the latest technology in Design & dafting, 3D modelling and Programming, part assembly and surface modeling, Drawing mode and data exchange.Till date 1600 were benefited. MCET established MAT LAB Programming in the year 2010, to Impart the Knowledge for the students with MAT LAB software, this enhances programming knowledge in Research and Development. Till date 50 students were benefited. The CISCO Networking Academy Program (CNAP) is a revolutionary partnership between CISO systems and educational institutions around the world. Dr. MCET is recognized as the Regional Academy for CNAP from the year 2002. Dr. MCET has been awarded by CISCO for the outstanding contribution to CISCO Networking Academy Programme in India for the year 2003 at the Annual Cisco Academy Conference held during 10-12 Dec 2003 in Thailand. It provides training for Cisco Certified Network Associate (CCNA) online exam conducted by Cisco Systems. To enables students and faculty members to develop practical networking knowledge and skills in a hands-on environment and to be well equipped for the increasingly technology. MCET tie-up with Oracle India Limited in the year 2008 to impact knowledge for the students about the database and its functionality in any kind of organization for maintaining various types of information in it.Certificates are issued by Oracle. Till date 60 students were benefited. MCET established a center on Virtual Instrumentation in the year 2008 to impart the knowledge for the students with labVIEW software. This enchances latest facilities on industrial automation and Research & Development. Till date 60 students were benefited.